Well hello to you my reader chums! With the hype of beauty blenders going around the blogger community for a while now, I thought I would finally jump on band waggon and buy one. I picked up the Real Technique version a couple of weeks back and have really taken to it; the blender has improved my makeup routine for the better. Application: Initially, I found application a bit tricky as it's a completely different blending technique to the usual buffing brush. Instead of the general swirling and brushing down motion I use with a brush, I found through practise of this blender, the best way is to dab and slowly swipe to achieve a flawless and well blended finish. As it took a couple of tries to get used to, I wasn't a huge fan at first, however once I got the hang of it and saw the results it left, I fell in love with this tool. Shape: I'd describe the shape as a 3D tear drop with different angles to help blend certain areas of the face. The curved, main surface I find is best for blending in the wider areas of my face such as my cheeks, forehead and chin area, whereas the thin pointy part is designed greatly for dabbing in the concealer under the eyes or on any blemishes. The flatter part of the top also it perfect for getting the higher parts of the cheeks and under the chin. Depending on what face shape you have can mean different sections of the blender will be perfect for other areas on your face. 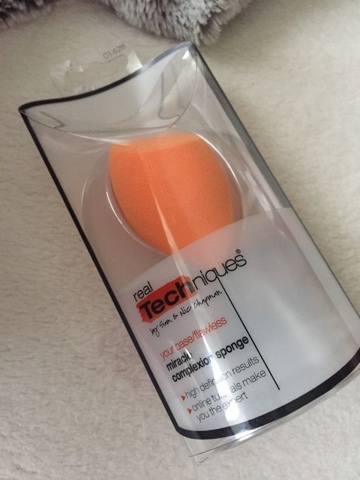 Finish: When I first started using the beauty blender, I didn't expect anything different from the end result, just how the makeup application would change, however I was certainly wrong. By using one of these beauties, I discovered not only does it help achieve a flawless finish, but it builds coverage. I think by using the dabbing method instead of dragging the product on the skin is the reason coverage is built. For instance, applying BB cream with this is absolutely fab because it gives an overall light-medium coverage instead of only a light colour tint. Overall brush comparison: In terms of comparing it to brushes, I can honestly say I've been enjoying this a lot more to apply my makeup. I'm astounded by how using this tool can help build up the layers and leave such a faultless look. As my skin isn't great at the moment (yay for winter), this extra coverage is definitely needed and therefore I'm happy I picked this up when I did! I love the size for on the go, how soft it feels on the skin and even the application process. Even though I adored brushes for years to apply my base products, this is now my go to tool. I hope you enjoyed this review. 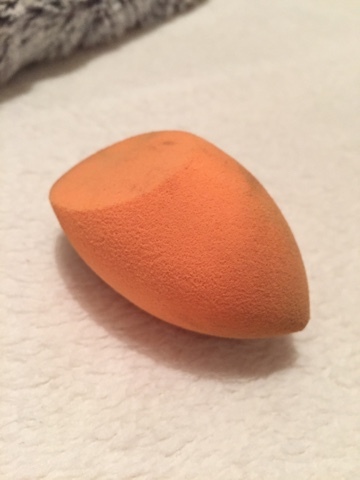 Have you used a beauty blender, if so do you prefer it to a brush? I love my sponge, I really need to get a new one as mine is all grubby now as I've had it almost a year!